The rabbit is just a symptom. Here's the cure. Representative Duncan Hunter was just indicted by Federal prosecutors for blatantly misusing campaign funds for personal gain. The FBI's investigation of Rep. Hunter came to public attention after the offices of his campaign treasurer were targeted in a Bureau raid, and after watchdogs raised alarms. Well, first there was an infamous $600 plane ticket for the family rabbit. Add another $1,300 for video games that he blamed on his kid. And don't forget the additional charges at the Disneyland Gift Shop, a Phoenix resort and a stay at a hotel in Italy. Sounds like a typical politician, right? That's the problem. We don't have to see receipts from the Disneyland, resorts and Italian hotels to know something is wrong in Washington. We see the effects of corruption every day in cities and states across this country. Too many politicians see public service as a vehicle for personal profit, and big money special interests are falling over themselves to help. While America's corrupt political system is a complex problem, it's not an insurmountable one. There is a plan to fix it and it all starts with you stepping up and demanding better. Sign the petition now to support the American Anti-Corruption Act and join the movement to fix our broken system. We refuse to wait for Congress in the fight to return our government to one that is of, by, and for the people. The American Anti-Corruption Act is a comprehensive law that will tackle corruption from all angles. Stop political bribery so special interests can't use job offers and donations to influence politicians. End secret money so people know who's buying political power. Fix our broken elections, so the people, not the political establishment, are in control. In communities across America, RepresentUs members – conservatives, progressives and everyone in between – are working together to pass local Anti-Corruption Acts. Member-led RepresentUs chapters are leading the fight to protect our communities from the corruption that plagues Congress. 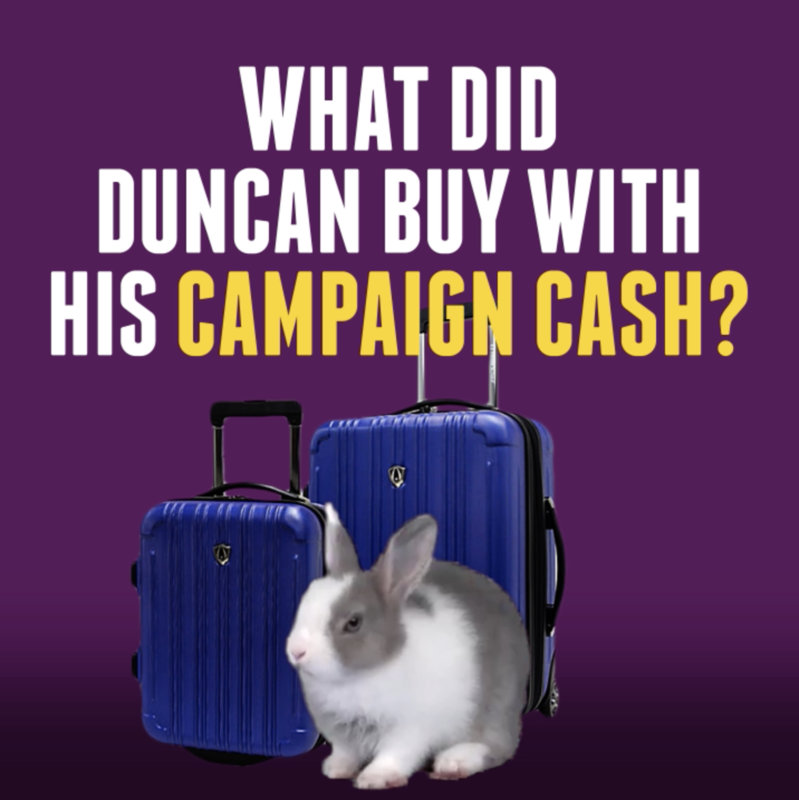 It shouldn't take a $600 plane ticket for a Congressman's pet rabbit to set off ethics alarms. The American Anti-Corruption Act is a tough anti-corruption law that will stop political bribery, end secret money, and fix our broken elections. 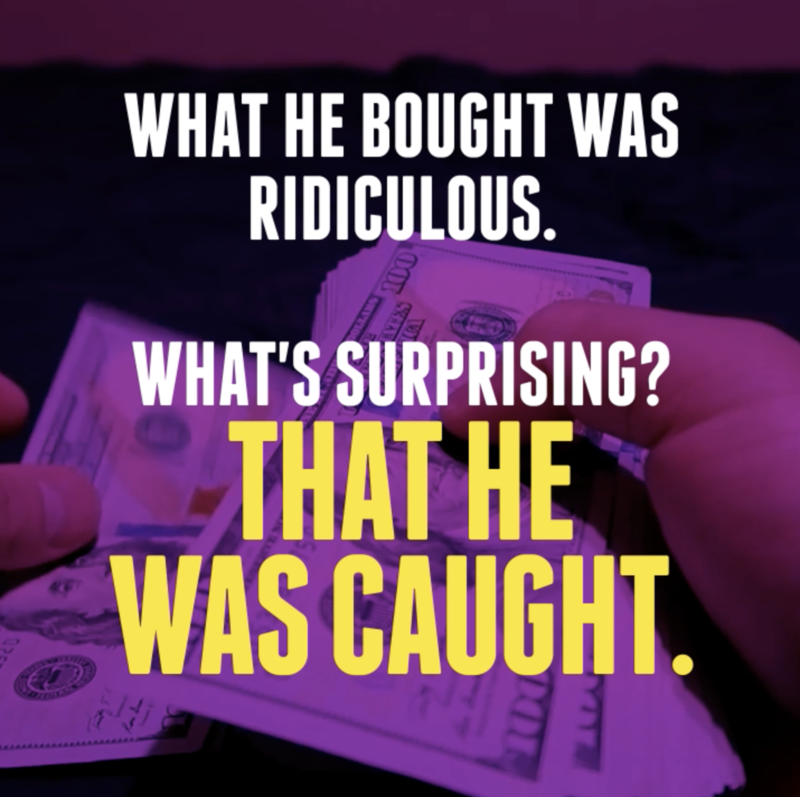 Add your name in support of the bill that will make corruption illegal.